My second shipment from Certified Steak & Seafood has arrived! Now I get to try the Chilean Sea Bass! I'm excited to have the opportunity to work with Certified Steak & Seafood Company ! Restaurant Quality, individually portioned meat and seafood delivered right to your door! Certified Angus Beef, Lobster and Seafood, Steak & Seafood Combos and Tasty Desserts ready for you and your next fantastic meal! Sea Bass has a very mild, almost buttery quality. Spice it up with some Cajun seasonings! In a small bowl mix together spices and set aside. Place the fish in a shallow bowl and add milk to cover. Heat a large cast iron frying pan over high heat for 10 minutes, or until extremely hot. (Put your exhaust fan on Turbo or grill outside if you can). You can put your cast iron skillet directly on the grill. Remove fish fillets from the milk and drain off excess. Dip fish into melted butter, and sprinkle each filet generously with the seasoning mixture. Place the fish fillets in the hot frying pan. Pour 1 Tbsp. of butter over each fillet. Cook until the coating on the underside of the fillet turns black, 3 to 5 minutes. Turn the fish over. Pour another tablespoon of butter over the fish and cook for 2 minutes, or until fish flakes easily with a fork. 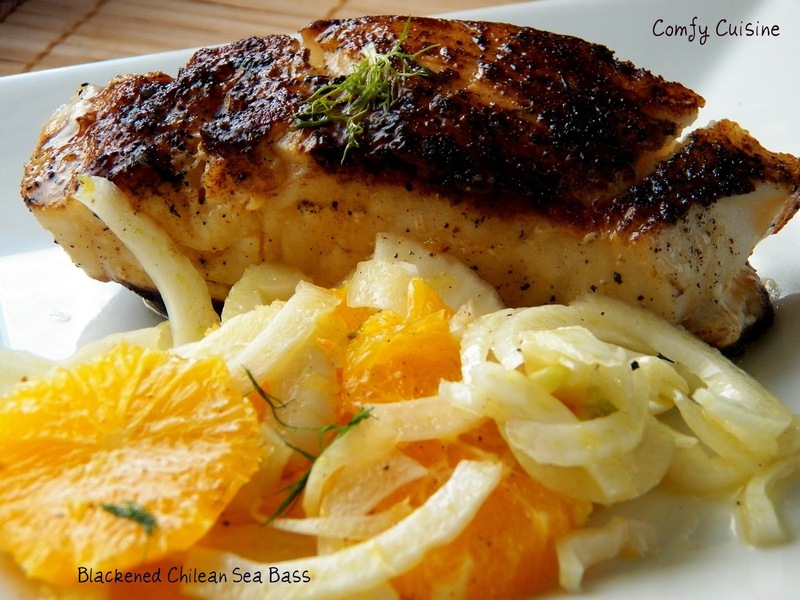 This is one of my favorite fish and I love your simple delicious recipe for it. Pinning and thank you for sharing it with us on foodie friday.